East L.A. Students Against the War! 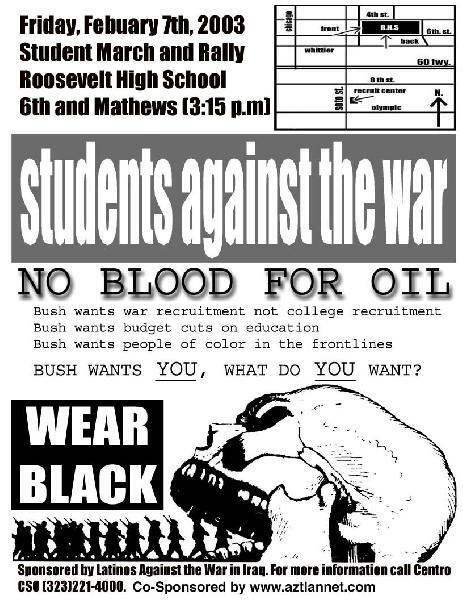 A Student anti-war protest and walk out has been called for the Students of East Los Angeles. The action is to take place on Feb. 7th. Bush wants YOU, what do YOU want? Latinos Against the War in Iraq.